ST. JAMES, Mo. 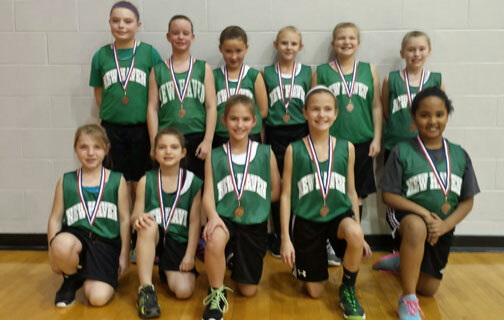 - New Haven’s 4th grade girls team played in the St. James Tournament on Saturday. They began the day suffering an 18-9 loss to Rolla, placing the Shamrocks on the loser side of the bracket. NEW HAVEN, Mo. 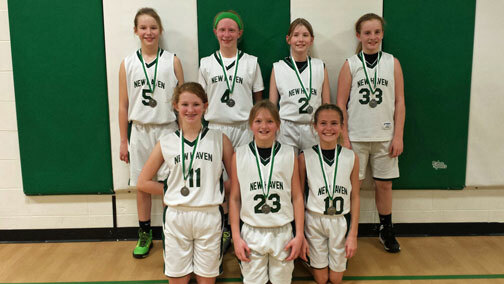 - The Annual New Haven Girls 5th Grade tournament was held on Saturday Dec. 20th. The Lady Rocks advanced to the championship game after back to back wins over Hermann (51-2) and Owensville (30-4). Montgomery County, Mo. 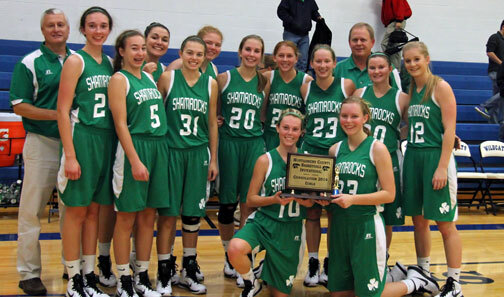 - Megan Shockley’s game high 15 points and nine rebounds with Molly Munsinger adding 12 points led the Shamrocks to a 48-39 win over Moberly to win Consolation in the Montgomery County Tournament. NEW HAVEN, Mo. 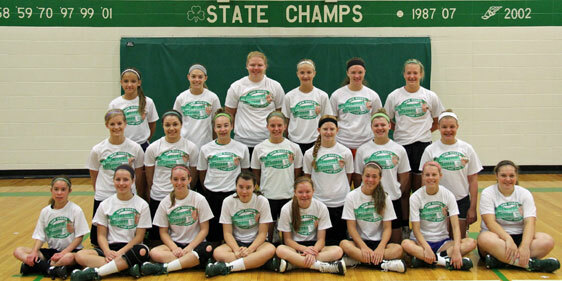 - Thursday morning was the last day of this week’s girls summer basketball camp. Twenty-one girls between grades 8 to 12 attended this four day camp hosted by New Haven Girls Varsity Head Coach Doug Peirick. NEW HAVEN, Mo. - Girls Varsity Coach Doug Peirick along with JV and Assistant Girls Coach Tim Scheer and Varsity Boys Coach Aaron Peirick held their annual summer basketball camp for players in grades 4th - 7th. A total of 29 girls participated in the four day camp from Tuesday, May 27th through Friday, May 30th. NEW HAVEN, Mo. 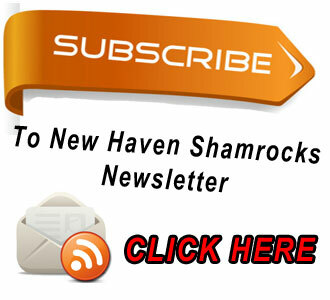 - It was November 29, 2010 in the first round of the Montgomery County Tournament when Rachel Steinhoff as a freshman started her first game for New Haven, scoring her first 16 career points. 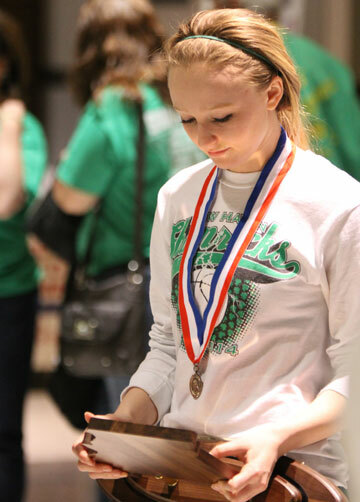 Four years later Rachel Steinhoff leaves behind life long memories and performances fans will always remember. Steinhoff’s ends her illustrious her career by setting a school record, starting all 122 games, helping her team become just the third basketball team in school history and first girls team to advance to the final four three or more years in a row. (Boys note these teams were in class 1 - 1956, 57’, 58’, 59’, 1997, 98’, 99’) Steinhoff’s team also becomes the first ever to advance since New Haven went from being a Class 1 to Class 2 school. Steinhoff becomes the second all-time leading scorer in girls basketball with 1661 career points but even more impressive is the 30 that she scored on her ACT. NEW HAVEN, Mo. - After losing in Friday’s third place game, as the players began walking off the court the MIzzou Arena went completely silent when New Haven’s Cheerleaders and student body began singing their school song. At that very moment I realized that the 11 players had a greater impact on their fellow students and fans than they could’ve ever imagined, a even greater impact than winning a state championship. COLUMBIA, Mo. - “We got beat, plain and simple. Hats off to them. They’re a good team and played a good game. 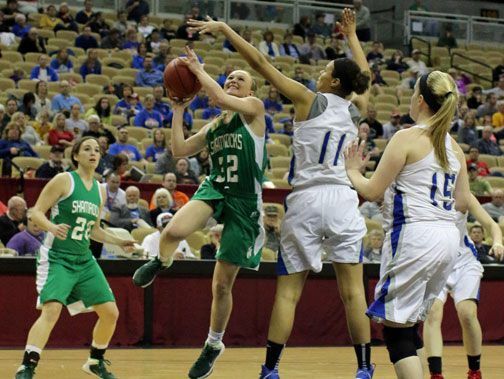 Once we got down, they hit some shots and we had to really gamble on defense and congratulations to New Franklin”, Coach Doug Peirick said after New Haven(22-10) lost to New Franklin(29-2) 51-38 in Friday’s Girls Class 2 State Third place game.